The SD100 is a kit model number and may be composed of different items depending upon the application. One example is shown below; two Paralan SD10D SCSI Bus converters and Three Connector cables. Infi-Net to Computer Transfer Module - The INICT03 handles all communication with a host computer. The module is command driven through software on the host computer. The INICT03 receives a command from the host computer executes it then replies. The INICT03 firmware enables the host computer to issue commands for data acquisition process monitoring process control and to perform system functions. The INICT03 can store up to 30,000 point definitions. It uses the IMMPI01 module for host computer connection. 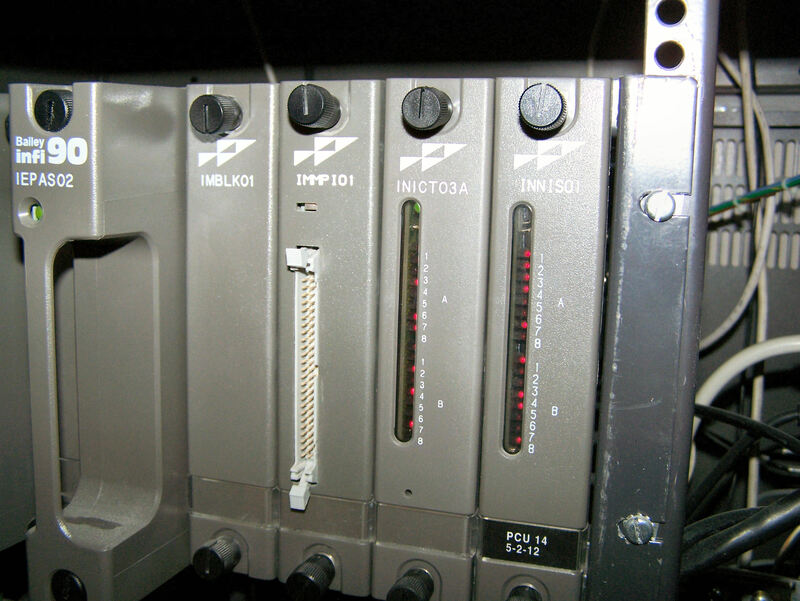 The IMMPI01 can communicate with the workstation via the SCSI connector on its faceplate. This is a 50 pin Single-Ended (SE) SCSI connection. This description is intended to provide a “feel” for the issue discussed below. If your Symphony Harmony INFI 90 application has a 50 pin Single-Ended (SE) SCSI connector the solution presented here will work. Contact Paralan to discuss your application. Paralan provides cables for connection between the Bailey Computer Interface Unit (CIU) and the SCSI Host Bus Adapter (HBA). Paralan cable part numbers: SQnn-LLL where nn denotes the connector type and LLL is the length. e.g. 010 is ten foot. 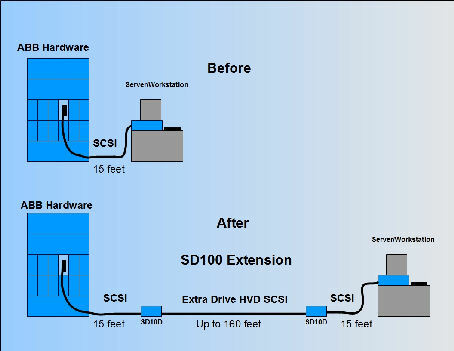 Paralan provides extension of the SCSI Bus cable length using converters such as Model SD10D. The simplest configuration is the connection between the Bailey CIU and the SCSI HBA. The Bailey CIU unit has a 50 pin SCSI connector; this type of connector may be used externally on one end of a round cable, however, there is no backshell for this connector therefore the wire will be exposed at the connector. A simple and effective method of extending SCSI cable length is available using Paralan's SCSI Converters and SCSI cabling. The cable between the two converters is SQ00-LLL. The maximum length used has been 160 feet. The cable between the last converter in the extension and the Bailey CIU is SQ0X-LLL-5127. The length can be a maximum of 20 feet. Please contact Paralan Corporation for more information and price.